For decades, we’ve been exploring space with the help of optics including onboard lenses and sensors. Here’s a look at the advancements we’ve made in space exploration—and how Zemax software is helping get the latest space exploration technology, the James Webb Space Telescope, into orbit. The Great Observatories program from NASA launched four space-based astronomical telescopes between 1990 and 2003 that have vastly impacted our understanding of astronomical objects, our galaxy, and those around us. These include: the Hubble Space Telescope, launched aboard Discovery in 1990 to observe visible light and near-ultraviolet; the Compton Gamma Ray Observatory, launched aboard Atlantis in 1991 to observe gamma rays; the Chandra X-ray Observatory, launched aboard Columbia in 1999 to observe soft x-rays; and the Spitzer Space Telescope, launched aboard a Delta II rocket in 2003 to observe the infrared spectrum. Though Hubble may be the most headline-grabbing, all four telescopes have contributed significantly to the field of astronomy. NASA has been able to detect thousands of new astronomical objects, such as galaxies, star clusters, and planetary systems. The imaging provided by the telescopes have allowed for surveying and comparing previous images to expand understanding of previously known astronomical objects. Zemax is proud to be helping get Webb off the ground. 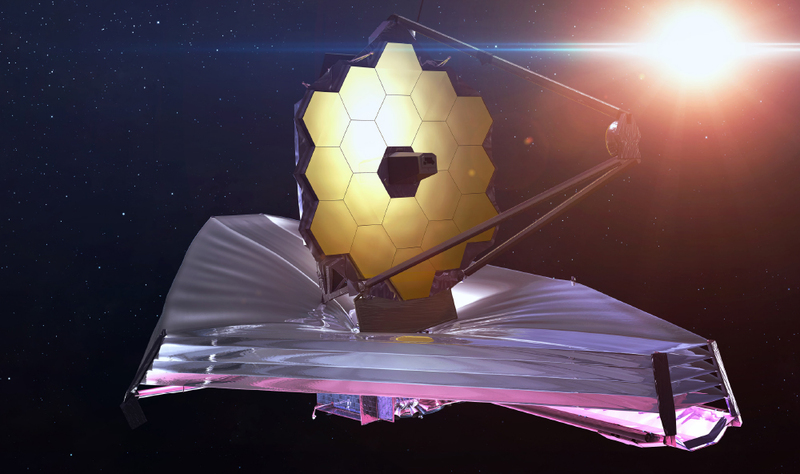 The James Webb Space Telescope used Zemax software to create the system that will align the telescope’s primary mirror segments—in space. One component of Webb is a primary mirror made of 18 separate segments—constructed from ultra-lightweight beryllium—that unfold and adjust to shape after launch. This 18-segmented mirror is critical to the function and mission of the telescope. A telescope’s primary mirror is the workhorse of any telescope—it’s the mirror that gathers most of the light. The bigger the primary mirror, the more light it collects. A larger primary also produces an image with higher resolution and more detail. Our software was used not only to design the optics for the camera that will help align the 18-segmented mirror in space, but to custom-develop special software that will also be critical for that alignment process.